South Africa has launched a $1bn (R13.24bn) trade facility to help local businesses that want to find new markets in the rest of the continent. The South African Trade and Investment promotion fund is a joint project by the African export-import Bank (Afreximbank) and the Export Credit Insurance Corporation of South Africa – a government entity that falls under the Department of Trade and Industry. Deputy Minister of Trade and Industry Bulelani Magwanishe told Fin24 that the fund would help plans to boost intra-trade in the continent, currently at a paltry 18%. "In most cases businesses have something to trade, but don’t have the means to, so it will facilitate credit finance and credit insurance. For instance should the other party not be able to pay you, you should have insurance," he said. 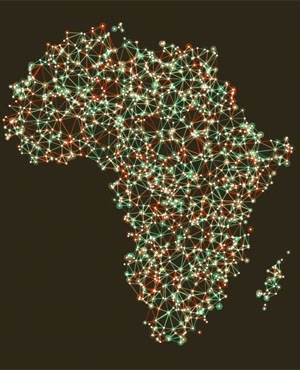 Africa is on an ambitious plan to drop tariffs and allow for free movement of goods to boost inter continental trade. So far 49 countries including South Africa have signed the Continental Free Trade Agreement, but only six countries have ratified the agreements, with South Africa also still expected to pass legislation to give it effect. At least 22 countries must ratify the agreement for it to come into force. Mangwanishe was speaking during president Cyril Ramaphosa’s three country visit to oil producing countries Nigeria, Saudi Arabia and the United Arab Emirates. He was travelling with Ramaphosa on a mission to woo investors back into the country to help kick start the struggling local economy. Local businesses trading goods and services to other African countries or projects sponsored by South African companies and transactions supporting the capital and investment flows from here going into the continent are eligible to accessing the fund. Mangwanishe said the funding facility which will be in form of a soft loan is geared at encouraging local business to start thinking about expanding into the continent. "In fact we want them to be thinking of the wider market of Africa, most of the products or areas are saturated in SA however there is a big need in Africa," he said. "You need to have project in regional integration, we do not always need to export things to other countries but you can have other things produced in SA but the value chain includes SA, Botswana etc because if we only export ready made projects from SA it leaves an after taste that we only see them as consumers," MangwanIshe added. The department is mindful that other markets on the continent can be difficult and has exporter training programmes for businesses to help them identify markets, negotiating contracts and meeting legal requirements. "We are mindful as DTI about taking exporters that are not ready for other markets and just taking them to those markets because you can just kill them," Mangwanishe said.